Anyone looking for evidence of the attractiveness of areas outside the British capital for investment in buy-to-let property – including such key urban epicentres as Manchester and Birmingham – would only need to consult a recent report issued by independent property specialists Experience Invest. The company’s document Uncovering the UK’s 2019 property investment hotspots makes for an intriguing read for those who are currently in need of a property inventory in Manchester, Birmingham or London, as well as those who are considering buying houses or flats in these areas. The report details the findings of independent research involving more than 500 property investors based in the UK, including their intentions for the management of their portfolios over the next 12 months. The resultant figures certainly provide an antidote to some of the bleaker sentiments we have heard from some quarters lately about the prospects of the British private rental market after Brexit. The majority of polled respondents – 54% – said they planned to invest in more real estate during 2019, with only one in 10 (11%) indicating that they would downsize their portfolios. Drilling down into the figures from the report, it probably won’t surprise many readers to learn that Greater London tops the list of regions being considered by the respondents for property investment this year. The capital was cited by 37% of those polled. Ranking second and third, however, were the North West (30%) and the Midlands (23%) respectively. Furthermore, on a city-by-city basis, Manchester closely trailed London as the property investment destination most seriously considered by the survey participants, with 33% compared to the capital’s 35%. Birmingham was ranked seventh, due to its 12% share. Nor is it only property investors who are increasingly recognising the appeal of northern England and the Midlands, with the report noting that the proportion of Londoners moving to these regions tripled between 2008 and 2018. Given such strengths of these areas as their comparative affordability, strong transport links and rising opportunities, this should not be a greatly surprising trend. Furthermore, with Yellow Oak Inventories LTD becoming active in both Birmingham and Manchester from May, you’re excellently placed as an investor to manage your property outside the capital with aplomb this year. You can learn more about having a property inventory in Manchester or Birmingham undertaken by our highly capable, knowledgeable and independent professionals – to say nothing of our many other related services – by calling 020 3713 4933 or emailing info@yellowoak.co.uk today. It seems that barely a week goes by lately without a new story emerging or a monthly rental index being released that points to northern regions of the UK being the places to invest in buy-to-let property, all while London yields continue to come under pressure. But enough about those tempting stories that suggest bumper returns for those acquiring properties for use as a private rental investment in such areas as Birmingham and Manchester. What’s actually causing the situation, and how may this guide your buying decisions during 2019? In stark contrast to recent reports that have indicated fast-escalating house prices in the likes of northern England and the Midlands, growth in the value of homes in the capital remains slow. Let’s never underestimate, though, just how expensive London already is for many. The capital’s average house price is more than double that of the rest of the country, at about £479,000 compared to the £223,000 national average. No less worryingly, the typical rent for a two-bedroom private rented house in London is now £1,730, as opposed to the £820 average recorded for England as a whole. That’s causing many Millennials to flee – indeed, the number of people of this age bracket leaving the capital has recently hit its highest level for more than a decade. In a world of increasingly flexible working arrangements and ever-faster broadband, some people who may have once considered being London-based as essential, are now thinking seriously of relocating to more affordable northern and Midlands cities like Manchester and Birmingham. They’re realising, in short, that they may just be able to enjoy the best of both worlds – a relatively cheap and hospitable place to call home, but also somewhere that doesn’t force them to completely abandon professional connections they may have already forged in the capital. Did you know, for example, that Birmingham was the number one destination for people relocating from London in 2018? More than 7,000 people made that particular switch. Furthermore, given that the high-speed railway HS2 connecting London with the likes of Birmingham, Manchester, Leeds and the East Midlands – and significantly cutting journey times in the process – is set to open between 2026 and 2033, it’s difficult to blame such forward-thinking movers. Whatever your own reasons for contemplating investment in a northern or Midlands location to expand your buy-to-let portfolio in 2019, you may be interested to know that from April 2019, Yellow Oak Inventories LTD will be setting up a presence ‘up north’, too! Yes, having previously centred our efforts on London with great success, we’ll soon be an equally dependable and reputable company to which to turn for a cost-effective rental inventory in Birmingham or Manchester. Simply call 020 3713 4933 or email info@yellowoak.co.uk today to discuss with us your requirements for a property inventory, check in, check out, mid-term review or snagging report. Your buy-to-let investment journey could take you to many places – but as you look for the next big opportunity, you should be particularly careful not to overlook Manchester. The North West city has recently been recording some of the highest rental yields in the country. As the jewel in Greater Manchester’s crown, the city clearly has much to recommend it. Manchester is not only a thriving cultural and sports hub for its 3.2 million residents, but also a magnet for students. This helps to explain why it can bring major returns for buy-to-let investors. In January, the property investment portal One and Only Pro used a unique algorithm to rank the UK’s 172 highest-yielding buy-to-let locations. Factors like property prices and demand were considered as One and Only Pro calculated that the North West was the best-performing region. The research saw investment properties assigned scores from one to 10, with the highest scores for properties likeliest to rise in value. The top score went to the Greater Manchester city of Salford, where properties are relatively cheap to buy but command comparatively high rents. Yields look especially impressive if we turn our attention to Manchester proper. The comparison site TotallyMoney researched more than 580,000 properties across England, Scotland and Wales to discern which postcodes offered the best buy-to-let returns. Some of the highest yields for buy-to-let investors were found in the M14 postcode area, which includes the student hotspots of Moss Side, Fallowfield and Rusholme. In this postcode area, asking prices have averaged at £194,733, while average monthly rents have hit £1,636. That all adds up to a rental yield of 10.1%. Not far behind is the yield of 8.6% recorded in the M19 postcode area; both M14 and M19 are in the list of top 10 postcodes by this measure. As a landlord, you can rest assured that the yearly stream of new students in Manchester could significantly help you to minimise void periods. From April 2019, our team here at Yellow Oak Inventories LTD will also be able to provide property inventory in Manchester to help you to track the condition of your properties in the city. Such services will build on the formidable reputation that we have already built among property owners in London, while helping you to make the most of your own investment in North West England. Landlords and letting agents calling upon London property services like our own here at Yellow Oak Inventories LTD have reason to feel heartened by forecasts of steadily climbing rental values in the capital in the years ahead. Indeed, it is thought that such rises will even surpass the growth of house prices over the coming half-decade, on a backdrop of recovering wages for working people. Property specialists Savills have said that they expect rents in London to go up by 15.9% by 2023, compared to a mere 4.5% increase in house prices over the same period. Even in the UK as a whole, rents are only forecast to heighten by 11.5% during this time. Such expected rises have been attributed to a variety of factors, including the uncertainty that still prevails around the UK’s impending departure from the European Union (EU), as well as the eye-watering deposits needed to buy a property, cautious lending and burdensome stamp duty costs. Barriers like these mean that many people who would have otherwise desired to purchase a home will instead continue to rent. However, it has also been predicted that once the Brexit deadline passes in March, salaries will grow by 16% over a five-year period, during which employers will tentatively invest in their staff – this, too, helping to push up rents. Could now be the time to invest in a London buy-to-let property? These predictions come in the wake of a 4.4% increase in London rents over the 12 months leading up to November 2018, as revealed by the latest HomeLet Rental Index. It brought the average monthly rent in the capital to £1,597 a month, some 110% higher than the typical level across the rest of the UK. Such factors, together, may help to convince you that now is a good time to invest in London rental property – but if you do, you shouldn’t forget to call upon the most appropriate London property services, too. Yellow Oak Inventories LTD is an independent and professional provider of such vital services as inventories, check in, check out and mid-term reviews. Call the Yellow Oak Inventories LTD team today, on 020 3713 4933 or email info@yellowoak.co.uk to learn more about how our acclaimed London property services could serve your needs as a landlord, letting agent, relocation agent or tenant. Is London still the lucrative arena for rental property investment that it once was? Several new reports have given encouraging answers to that question. One such report revealed that buy-to-let income for London-based landlords reached £7 billion during the last tax year. Estate agent Ludlow Thompson said that this amounted to some 20% of the total for all landlords living in the UK. What else did we learn from Ludlow Thompson’s findings? The company said the £7 billion that private landlords residing in the capital generated in total revenue from their investments in residential property in the year to 5th April 2018 represented a 6.4% increase on the previous year’s figure. The UK as a whole saw 4.8% growth over the same time period on average, reaching £34.8 billion in 2017/18, compared to the £33.4 billion recorded a year earlier. Even with the industry having become subject to greater regulation in recent times, buy-to-let has preserved its reputation as a profitable and comparatively low-risk investment opportunity. It has been observed that property tends to bring more consistent returns over a longer period than such alternative asset classes as stocks, shares, cash ISAs and government bonds. Ludlow Thompson also noted that London’s private landlords made an average of around £20,000 in property income in the past year, as opposed to about £14,000 for landlords across the UK. Furthermore, 16 of the UK’s top 20 private landlord hotspots – as ascertained on the basis of the average amount of annual property income per capita – were in London. Kensington and Chelsea, Westminster, the City of London, Camden, Barnet, Hackney and Epping Forest were the areas that saw landlords based in them enjoy the highest levels of average property income. As for what the near future holds, another prominent lettings agency in the capital – Chestertons – has said that London’s recent rental increases are likely to continue into the New Year, not least because of the declining supply of homes available to prospective tenants. Chestertons’ head of residential lettings, Richard Davies, has forecast a 2.5% increase in rents in London during 2019, and 11.5% total rental growth by 2022. Such developments should give you plenty of reason to be heartened when you are looking for a company that can provide a professional and independent property inspection in London – as we can do here at Yellow Oak Inventories LTD. So why not give us a call about any of our services today on 020 3713 4933 or email info@yellowoak.co.uk. If you have recently found that your rental property portfolio isn’t bringing the kind of returns it used to, it’s important to look beyond mere unfavourable market forces. Indeed, much of the problem may actually be to do with the properties you look after. So, how can you boost the attractiveness and value of your London property portfolio for tenants? Certain categories of tenant might be inclined to pay more than other categories. For example, in a student hotspot, you may be able to open up fresh opportunities in an otherwise saturated market by targeting your property at overseas students, who tend to be wealthier than native students. Gone are the days when many tenants would deem renting property just a temporary, ‘make-do’ option while they waited to seal the purchase of a home. It is now standard for a tenant to remain in the same property for about two years. They therefore often want to feel as though their rented home is truly theirs – and no self-respecting tenant is happy to live in a dirty property with peeling paint. For this reason, you should consider giving your property a thorough aesthetic overhaul if its current appearance warrants it. Naturally, if you make your property’s kitchen or bathroom more up-to-date, you might be able to justify a higher rental value as a result. Another potential plus point is that the tenant is likely to be encouraged to remain in the property for longer. This could help you to cut down on those dreaded ‘void’ periods when you are waiting for a new tenant to arrive after the last one has left. This strategy would require you to obtain necessary planning permission and get it past building control. However, giving your property an extension could reap dividends. A property extension could enable you to increase the number of rooms that you let out to separate tenants, or even just add an extra bedroom to boost the property’s market competitiveness. However, when you do see an uptick in interest from potential tenants, you should also prepare for the important responsibility of getting them checked in. Our highly professional and independent clerks can carry out an inventory check in at this stage on your behalf, with this service also further helping to keep your property in optimum condition over time. To learn more about our inventory check in expertise, simply call 020 3713 4933 or email info@yellowoak.co.uk now. Are you among the landlords increasingly using social media to screen potential tenants? You might imagine that here at Yellow Oak Inventories LTD, we would be quite eager to regularly highlight the value that the right rental inventory in central London can have for landlords. Even the most thorough tenant screening and referencing, after all, can’t guarantee that you will take on a tenant who will keep your property in optimum condition. The difficulty, in fact, of ensuring this has perhaps been further demonstrated by the recent news that landlords are turning more and more to social media as a means of vetting prospective tenants for their properties. A recent study by Foundation Home Loans found a heightening tendency among landlords to use social media to learn more about the people seeking to rent their properties. 11% said that they now checked Facebook and other social networks to screen would-be tenants before agreeing to let a home to them. With prospective renters’ profiles on such social media sites as Facebook, Twitter, LinkedIn and Instagram often containing a wealth of information in relation to their lifestyle, career history, relationship status, friends and whether they like pets, it’s not surprising that social media is becoming more frequently used as a screening tool by landlords. However, it is far from the only tenant vetting method that landlords continue to rely on. According to the research, almost a third (29%) of landlords even go as far as interviewing prospective tenants as part of the screening process, to aid them in deciding whether they are suitable for the given property. Furthermore, such more traditional means of screening tenants as personal, employer and previous landlord references are still routinely used by landlords, too. Could the right rental inventory in central London give you peace of mind? While we would certainly not wish to understate the importance of thorough screening for any landlord seeking to pick out the right tenant for their property, it’s also vital not to forget the inventory, which is a visual and written report making clear the condition of a property. When you are in need of the most reputable and unbiased party to conduct a rental inventory in central London, the Yellow Oak Inventories LTD team can be of assistance, providing detailed reports to a fast turnaround. Simply call us now, on 020 3713 4933 or send us an email to take full advantage of our highly professional, independent and efficient service. Will London’s currently ‘flat’ rents be on the rise again over the next 12 months? It’s fair to say that many of the property investors and letting agents in the British capital that have reason to request an inventory, mid-term review or new-build report in London from time to time won’t have found the most recent figures about the local rental market to be pleasurable reading. The London buy-to-let market has been widely reported as sluggish, with better yields to be enjoyed at present in other parts of the UK – but is there hope of a turnaround in this anytime soon? One letting agent in the capital, Benham and Reeves, has suggested so. In fact, it has said that the third quarter of 2018 was the busiest such period in its history, with tenant demand for London rental property significantly up. What are the reasons for the agency’s optimism? Benham and Reeves stated in its latest lettings report that agreement had been reached on more than 1,000 tenancies across its 16 London branches during the three months. This represented a 22.1% rise from the transaction volumes seen during the equivalent period of 2017. Furthermore, the agency registered an average of 22 applications for each available property during the third quarter, as opposed to 16 a year earlier. Such figures mean that while London rent prices are mostly, as the letting agent admits, “flat”, it “sees this trend changing in the next 12 months” – an indication that sustained high demand for rental accommodation in the city will start to push up values. It isn’t only Benham and Reeves that is confident of an improving picture for London landlords and investors, as Doug Shephard of the property search site Home.co.uk has suggested that yields could already be increasing again in the capital. Whatever your reasons for needing an inventory, new-build report or any of our other services here at Yellow Oak Inventories LTD, you can expect the most professional, responsive and independent service, tailored to your needs. Enquire to our team now, by calling 020 3713 4933 or emailing info@yellowoak.co.uk to learn more about the comprehensiveness and affordability of our services for London landlords, tenants, housing associations, relocation agents and letting agents. The British capital may not have received the most favourable headlines in recent times as far as its buy-to-let market is concerned, but it seems that there’s still plenty of reason for cheer for many of those requesting a home inventory or check out report in London from a company like ours. Indeed, according to a study from letting agents Chestertons, there has actually been an increase in rental yields in many parts of London over the past year – and the chances are strong of continued rises. While rental values in some of London’s prime central locations are still feeling downward pressure, considerable upticks have been recorded in other areas of the capital. It is Chiswick that tops the research’s rankings as the pocket of London that has seen the most significant growth in its gross rental yields during the last year. Its recorded increase from 3.3% to 4.3%, in fact, equates to an almost 30% change. However, Tower Bridge and Covent Garden have also been characterised by notable increases in their yields, by 17% and 15% respectively. Annual growth for both Canary Wharf and Wandsworth, meanwhile, is 12%. More modest rises were racked up in such other areas of the capital as Islington, Notting Hill, Fulham, St John’s Wood, Greenwich and Battersea. This is a firm indication that more than a few of those benefitting from a check out report in London provided by Yellow Oak Inventories LTD are continuing to enjoy worthwhile returns from their property portfolios in the city. It means that while the average annual rent for a Battersea four-bedroom flat was £37,200 in 2017, this has since gone up to £40,320, which is a 14% year-on-year improvement and gives the landlord a healthy 5% rental yield. He said that this was contributing to severe shortages in many London localities, which in turn, was pushing up rental values. Would you like to be provided with an inventory, check in or check out report in London by a reputable company with an excellent track record of serving letting agents, relocation agents, housing associations, landlords and tenants? In that case, it might just be the time to get in touch with Yellow Oak Inventories LTD, which will help you to make the most of your London property portfolio. Simply call 020 3713 4933 or email info@yellowoak.co.uk today to book your appointment for any of our acclaimed services. What are the most frequent justifications for landlords deducting money from tenants’ deposits? Requesting a property inventory report is a frequently essential measure for landlords that wish to give themselves the utmost peace of mind about the condition of their buy-to-let properties. Thankfully, in most cases, a comparison of the state of a property prior to and after a tenancy shows a positive outcome, although this is sadly not always so. This has been made clear by new data released by the Deposit Protection Service (DPS), one of the three government-approved agencies through which UK landlords are able to store tenant deposits under an assured shorthold tenancy. The figures show the main reasons why landlords opt to take money from the deposits that they return to their tenants. So, what the most common causes of a docked deposit? Topping the list of reasons cited by landlords for deposit deductions was the cost of cleaning, as mentioned by 63% of landlords that had entered the DPS’ Dispute Resolution Service during the last 12 months. An additional 53% claimed the deduction of money was necessary to pay for damage that their tenants had caused. Redecoration was another frequent reason for a landlord taking money out of their tenant’s deposit, as given by 37% of landlords, while rent arrears accounted for 23% and gardening costs, 16%. A further 16% of landlords appealed for a deposit reduction so that they could replace missing items, while 4% said they were docking money to pay outstanding bills. While the above statistics may seem scary ones for many landlords and tenants with reason to request such a service as a property inventory report, the good news is that it isn’t very often that a tenancy ends in dispute between the two parties. Indeed, 98% of tenancies in the UK come to a close without the landlord having to ask for a deposit deduction. By maintaining clear communication from the outset, landlords and tenants can be left in no doubt about their respective responsibilities, which can help greatly to avoid conflict further down the line. Another important step is to have a comprehensive property inventory report undertaken, so that the property’s condition can be documented at the beginning and end of the tenancy. We would be delighted to provide this service for you here at Yellow Oak Inventories LTD, thereby helping to give you greater protection in relation to the property, whether you are the landlord or tenant. While the buy-to-let sector has undoubtedly had its ups and downs over the past few years, it seems the fundamental attractiveness of becoming a landlord has barely waned, at least according to the findings of new research from Sainsbury’s Bank Mortgages. The lender discovered that nearly a tenth (9%) of the UK adult population had thought about purchasing a buy-to-let mortgage this year. It all of those individuals acted on their interest, it could mean up to 4.8 million people across the country becoming landlords in 2018. What is leading many people to think about entering the sector? As one might expect, the survey respondents cited various motivations for potentially taking out a buy-to-let mortgage. More than a third of those who said they were considering this path – 35% – said it had been prompted by a change in income, while three in 10 (29%) remained encouraged by the current opportunities to get involved in the buy-to-let market. A quarter (25%) said it was receiving an inheritance that caused them to think about investing in a buy-to-let mortgage, which raises the spectre of many people having found themselves ‘accidental landlords’. Despite this, the study also found that about two-thirds – 64% – of UK adults were unable to define what a consumer buy-to-let mortgage was. The respondents’ cited property preferences was another intriguing aspect of the poll findings. Over half, or 51% of those contemplating becoming a landlord said they had thought of buying a house, and of these, 46% had considered acquiring a new build instead of older property stock. Meanwhile, 46% of potential landlords had considered purchasing a flat, with 44% of this group open to investing in new build flats. As exciting as the above news is about a potentially rich influx of new investors in the buy-to-let sector, it is also vital for such prospective buyers to take every necessary precaution – including ensuring they have a property inventory carried out by a trustworthy and unbiased party. Yellow Oak Inventories LTD is proud to be able to undertake the highest standard of property inventory in London for new and experienced landlords alike. Give us a call today on 020 3713 4933 or email info@yellowoak.co.uk, to learn more about our detailed inventory reports that could be instrumental in making your early life as a landlord easier. The importance of a thorough London property inventory may have become even greater, due to prospective tenants now having a greater amount of choice than was the case until relatively recently. This is at least the warning issued by several key observers of the capital’s buy-to-let sector, including one leading letting agency that has said owners of rental property are having to work harder to protect their investments. As reported by the website Letting Agent Today, the agency has described the current buy-to-let market in the capital as neutral. This is due to the number of tenants having gone up, but those tenants also having so many properties from which to choose, that rental values in such areas of the capital as Zone 2 and 3 have been left flat. The agency stated that across most postcodes in London, an even spread was observed between 2% drops and 2% rises, partly because of various new schemes being rolled out that are suitable for buy-to-let investors. Nor is this stable situation one that the agency imagines changing any time soon. This latter analysis is backed up by the agency having seen 17% of its landlords renewing their existing tenants while not increasing their rent. The agency did also notice, however, surprising rental decreases in popular areas ranging from Golders Green, Hampstead and Barnet in NW11 to South Kensington and Knightsbridge in SW7 and Marylebone and Westminster in W1H. Barnes and Richmond upon Thames in SW13, Hammersmith and Fulham in W6 and South Lambeth, Vauxhall, Battersea, Clapham and Stockwell in SW8 saw similar declines in rent values. He urged landlords in not only these areas, but also other parts of London to pay close attention to the maintenance and presentation of their properties to increase their competitiveness at a time when tenants frequently have many options for a new rental home in the capital. Such diligence towards the condition of your property – assisted by such measures as the right London property inventory by a reputable independent company like Yellow Oak Inventories LTD – could go a long way to keeping your investment occupied with good tenants. So, to learn more about the inventory, inspection, check in and check out services that we can provide, why not call our team today on 020 3713 4933, or send us an email? There has been much talk recently about how London landlords are apparently being deterred from investing in the capital – or are even deciding to end their involvement in the city altogether – due to continued high property prices and stamp duty costs. But is this the reality? The picture doesn’t seem quite as simple as that, if one new set of figures is to be believed. Indeed, in the second quarter of 2018, London may have actually resumed its status as the most popular area of the UK for buy-to-let investment, as shown by a new analysis undertaken by Commercial Trust. The specialist mortgage firm said that 15.34% of its applications for buy-to-let mortgages during the April to June period were for properties in London, placing the South East in the shade, with 13.76%. The North West also fared well, however, recording an 11.11% share. Nonetheless, London’s performance is especially notable, not least because the capital also saw 8.97% more buy-to-let completions in the second quarter than in the first three months of 2018. This made the second quarter the first quarter in which London enjoyed the largest share in the broker’s completions – at 15.79% – since the third quarter of last year. The company was also able to report on a significant jump in its overall business during the April to June period, racking up 32.17% greater volume than was seen in 2017’s corresponding quarter. However, you are likely to be much more confident to make such an investment if you also feel that you have the right inventory company in London by your side. Yellow Oak Inventories LTD can be that company, providing you with the inventory, check in, check out and inspection services that will give you the utmost peace of mind as to the condition of your investment. Enquire now, by calling 020 3713 4933 or emailing info@yellowoak.co.uk, to learn more about our know-how and experience as an inventory company in London that could empower you to put both faith and money into the capital’s resurgent property market. How can London landlords swiftly find tenants for their properties? So, you have contacted a company like Yellow Oak Inventories LTD to undertake the most professional check out inventory in London, so that you can be sure of your property having been left in the best possible condition by the departing tenant compared to when they arrived. The detailed report arrives, and it’s good news – but you have one problem. That problem is: you don’t yet have anyone to replace your outgoing tenant. This is a major worry for many of our landlord clients, as even a relatively short ‘void period’ – the space of time for which your buy-to-let property has no paying tenants – can be damaging in such a notoriously expensive part of the country as London. So, what are our top tips for quickly getting a new tenant into your London buy-to-let property, without having to desperately reach for an unsuitable candidate who could cause problems later? Of course, this won’t help you greatly if you are looking to fill a London property that you already own. Nonetheless, it’s intriguing to see the patterns thrown up by recently released data – reported by Which? – showing the average number of days on the market for rental dwellings in different parts of the capital. The figures indicate that if you are concerned about void periods as a London buy-to-let investor, south-east London might be the most advantageous area to target, given the average of just 29 days between listing and letting for its properties. However, EC4Y in Westminster is the specific postcode where landlords find tenants quickest, with an average of just 20 days on the market recorded for properties there. What else can you do to make your property a tenant magnet? A key factor in luring more tenants in the direction of your vacant property is getting the asking price right. Balance is crucial here – whatever you charge will need to be sufficient to cover your mortgage obligations, but should also not be appreciably higher than what other landlords in the area are charging for similar properties. The level of competition that you face for tenants in the locality will also be a crucial factor in determining a price. On the subject of competition, however, you also need to consider whether a seemingly ‘comparable’ property to yours truly is comparable. You may offer a two-bedroom flat much like others in the area, for instance, except that these properties give your residents somewhere to park, while yours doesn’t. Such a situation may necessitate you dropping your price. It’s also vital to cater to what the tenants who will take an interest in your property are likely to specifically want and need. Young families may consider a bath essential, for example, whereas couples without children may regard it as unnecessary. Such insight can be used to ensure you make the changes to your investment that will actually boost its value. Ensuring that your buy-to-let property in the capital is kept in the finest condition will likely be a key source of stress for you as a landlord. That’s why, when you are seeking the right firm to carry out a mid-term inspection, check in or check out inventory in London, Yellow Oak Inventories LTD can be your complete and dependable partner. Contact our team now, by calling 020 3713 4933 or emailing info@yellowoak.co.uk, to find out more about our full range of services. Are you protecting young tenants? 33% admitted that they had ‘given in’ to landlords and agencies to avoid confrontation. Do you house young tenants? 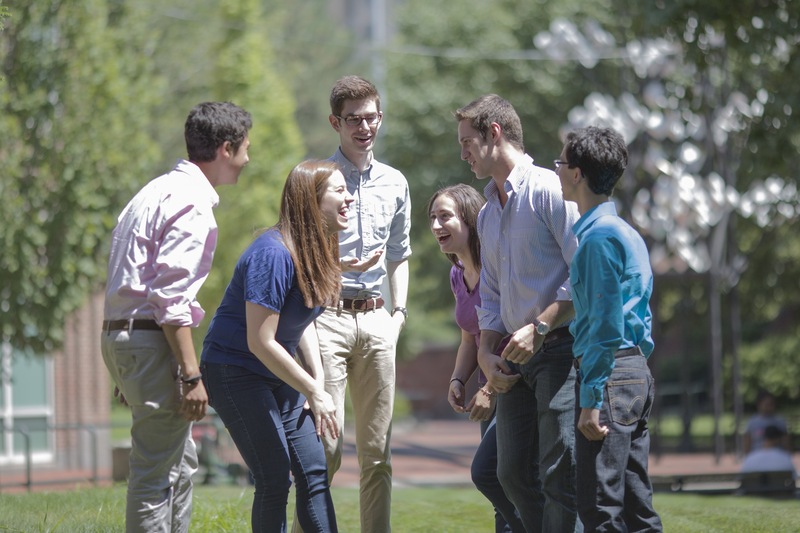 With so many students and budding renters looking for their next home in the PRS, it is critical that you make them aware of their rights from the start. Student housing can be a very lucrative market, what with university life becoming more of a once in a lifetime opportunity in the UK than ever before. Not forgetting the increasing amount of young families out there looking for their next home in the PRS too. As a landlord your main objective is to keep your tenants happy, meaning that they will stay for as long as possible with you. Provide your tenants with a valid Energy Performance Certificate (EPC), an annual Gas Safety Certificate and a copy of the government’s new ‘How to Rent’ guide at the start of their tenancy. If you fail to then you (or your agent) will be unable to evict them further down the line. You should also provide them with a copy of their tenancy agreement, to include: the date it began, the amount of rent due, when it’s to be paid, how and when the rent can be changed and the length of any fixed term. Any deposits that have been paid to you on or after April 2007 must be protected in one of the 3 government-approved deposit protection schemes; Deposit Protection Scheme (DPS), MyDeposits or the Tenancy Deposit Scheme (TDS). If a court finds that you’ve failed to adequately protect their deposit, then you will be ordered to repay it directly to your tenant or pay it into an official TDP scheme’s bank account within 14 days. The court can also decide whether they order you to pay you up to 3 times the deposit amount! You, or agents acting on your behalf, must now install smoke alarms and carbon monoxide alarms in all relevant rooms of your buy-to-let properties. They must be fully functioning at the start of the tenancy, but it remains your tenant’s responsibility to test and maintain each alarm throughout the tenancy period, e.g. changing the batteries. You must provide each tenant with a name and an address in England or Wales that they can write to you. Unless it is a valid emergency, you or your letting agent must give your tenant at least 24 hours’ notice (in writing) before you have the right to enter their home. As a landlord you have a duty of care to maintain the property; keeping your tenants happy and free from any danger. Other than very minor requests (changing fuses, light bulbs, etc), you are responsible for the majority of the repairs. So make sure that you encourage your tenants to report any issues to you as soon as they arise; so as to minimise any potential damage. You must serve the correct notices (e.g. Section 21) and obtain a possession order from the court to legally evict your tenants from the property. You must make sure that there are working smoke alarms on every floor of your property in communal areas. Tel: 020 3713 4933 / Email: info@yellowoak.co.uk / Contact Form. Another month, another new law for landlords it would seem! As of the beginning of October 2015 landlords in England are now required by law to install smoke and carbon monoxide detectors? Properly installed and maintained smoke alarms play a pivotal role in reducing fire, death and injuries in privately rented accommodation. And the same goes for carbon monoxide alarms. With almost two-thirds of home fire deaths resulting from properties that don’t have a working alarm, the chance of dying is cut in half with a working alarm. Although I have noticed consistent news coverage on the subject, the Association of Independent Inventory Clerks are still worried that there is still confusion over who and when such smoke detectors and carbon monoxide alarms should be checked, as well as who does it; the landlord, agent or independent third party? 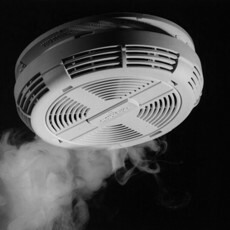 The standing legal position is that landlords in England, or agents acting on their behalf, are required to install smoke detectors on every floor of their property where a tenant is residing or partially living. Carbon Monoxide alarms must also be fitted in any room of rented accommodation where there is a solid fuel-burning appliance, e.g. gas cooker, open fire, wood burner, etc. Both must be tested at the beginning of each new tenancy, and those that don’t comply risk a fine of up to £5,000. However the checking requirement does not apply to renewed or statutory periodic tenancies. This is a life and death situation after all, as in essence you have the safety and wellbeing of your tenants firmly in your hands. One tragic story of a family dying in a house fire is one too many for us at Yellow Oak Inventories, so it’s wonderful to see the lettings industry in England embracing this long-awaited law. That being said, everyone must remain vigilant as the only test that will be carried out by our Inventory clerks and many others is a simple sound test which indicates that the battery is still working. It is still ultimately the responsibility of the landlord and agent to make sure the alarms are working properly. Other than fire alarms, there are other possible issues that can create unrest with the landlord/tenant relationship. So how else can you do to protect yourself and your tenants against potential disputes further down the line? Many little mistakes that have escalated beyond control have often began as a tiny, overlooked issue. The AIIC have recently been quoted as stating that a formal tenancy deposit dispute can be diffused by something as basic as simple conversation. At Yellow Oak Inventories we wholeheartedly agree, as its basic common sense that if a tenant contacts their letting agent or landlord to discuss a disagreement, there is a much reduced chance of it heightening to them lodging a formal complaint with one of the 3 deposit protection schemes. If you’re unsure about something that could be life threating, then seek help and advice! As a landlord, at Yellow Oak Inventories we believe that your tenants’ safety should be of the utmost importance. Be sure to choose a reputable property Inventory clerk that will tested your alarms for power (if reachable), visually inspect it and report back to you if there are any issues. A recent London Assembly-commissioned report predictably suggests that London landlords are unsupportive of rent controls, and that many would exit the private rental market altogether if they were ordered to cap or cut their rents. The survey of 174 landlords was carried out by the Cambridge Centre for Housing and Planning Research, and considered six proposals for the cutting, capping or freezing of rents in the private sector. According to the study, most of the capital’s rented properties are currently let out on the basis of a six or 12-month shorthold tenancy, an arrangement that has been criticised for the little security that it gives to tenant families. More than half of the polled landlords did say that they would consider offering three-year tenancies if they were provided with appropriate tax incentives – although some warned that they would be wary of offering long-term tenancies to such “risky” groups as families or housing benefit claimants. Three quarters of the landlord respondents admitted that being forced to slash their rents by a third would prompt the sale of some of all of their properties – with many complaining that there would be no incentive for them to invest in maintenance if attempts were made by the government to stabilise rents. However, with the period between 2013 and 2014 having seen an 11.9% jump in the cost of a new tenancy in London, it’s clear that the price of rents in the capital is a hot-button issue that will not go away any time soon – causing concern for all parties that might need to enquire about an Inventory Clerk in in central London. Such times of uncertainty if you are a buy-to-let landlord in the capital are only making it all the more crucial to do everything possible to ensure longer-term peace of mind – and the right rental inventory in central London from a reputable organisation like Yellow Oak Inventories LTD can certainly help in that regard. Our own inventory service includes detailed reports, digital colour photographs of every room and information on the level of cleanliness and any specific damage that may have occurred. We can even give you a fast report turnaround – so if you require the reassurance that the complete impartial rental inventory in central London can bring, look no further than Yellow Oak Inventories LTD. The Labour London mayoral candidate, Sadiq Khan has revealed his policies on housing – and it seems that rental controls are high on his list of priorities. Earlier this year, Khan told the New Statesman that he plans to introduce what has been called a “London Home Bond”, which will be bought by investors in order to fund housing. Khan, who defeated Blairite candidate Tessa Jowell in what was seen as a surprise victory, also plans to introduce a number of land release and planning measures. Yellow Oak Inventories LTD is a leading provider of London property inventory services and can therefore be of assistance if you require inventory services during this period of uncertainty for the capital’s private rented market. Khan has proposed a 50 per cent target for “genuinely affordable homes” in new developments. He also intends to use planning powers to stop ‘buy-to-leave’ purchases and says that he plans to do all he can to “protect Londoners renting in the private sector”, including bringing in a new London Living Rent model, which will link rents to a third of income. Khan has added that he would push the Government into freezing private sector rents and introduce a social housing letting agency. In related developments, an east London council has purchased an entire block of flats, which it plans to let at below-market rates. Barking and Dagenham LBC purchased the flats from construction business Bouygues, bringing 144 new homes into the private rental market by October. A spokesman for the council described it as an “innovative” decision designed to help “generation rent”. More than 1,000 people have already expressed an interest in the homes, according to the council’s Hakeen Osinaike. The properties cost the council £45m, which came through a credit facility secured from the European Investment Bank. The two developments come at a time of great uncertainty for London landlords, many of which have been accused of charging excessive rents. 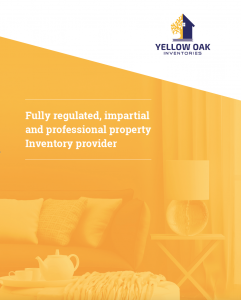 Here at Yellow Oak Inventories LTD, we can help if you are concerned about future market developments and require the peace of mind provided by a professional, impartial inventory. We are the number one choice for a number of London landlords and can provide you with the excellence that you require. Get in touch with the Yellow Oak Inventories LTD team today to learn more about how we can help. The Association of Independent Inventory Clerks (AIIC) have recently suggested that if more tenants were to attend the check out at the end of their tenancies, there would be less deposit disputes all round. This plea comes in response via data released by the Deposit Protection Service (DPS), which suggests that 48% of tenants are failing to attend their check out reports. At Yellow Oak Inventories we whole-heartedly agree with this sentiment. It’s a perfect opportunity for issues to be brought to the tenants attention. By discussing the condition tenants and landlords/agents can resolve problems in a much quicker fashion; preventing longer, drawn-out disputes further down the line. The tenant is fully aware of what will be in the check out report, so there will be no surprises when they receive it. So how else can you ensure that your check out report goes smoothly? Use a professional and independent inventory clerk, as they will understand what is best recorded when tenants arrive and how best to assess and demonstrate any changes at the end of the tenancy. Provide reports from the check-in and mid-term as a reference point, for both inspection and discussion. Ensure that tenants can make the check-out report appointment, by writing to them with sufficient notice. Clearly explain how important the process is and why they should attend, and be sure to explain such actions as taking photos during the visit, etc. Take digital photos as these have a date stamp attached, which adds extra credence to your report. Be absolutely thorough and take your time, otherwise you may overlook an important issue; potentially making life for all parties involved more difficult. However unlikely it may seem, if you feel that your safety could be jeopardised in anyway bring along a witness. TAKE NOTE! – By this we mean make as many notes as possible, including any admissions from your tenant and/or any agreements that you reach. Complete your properties check-out report before any repair work is done. This is because many landlords/agents unfortunately rush to overcome problems in preparation for their next tenant, which can prevent opportunities to record such repairs; increasing the possibility for dispute. Check outs are one of the most important stages of any tenancy agreement. So if you need any help or advice with your inventory, please get in touch with one of our friendly team today – 020 3713 4933, info@yellowoak.co.uk or via Facebook or Twitter.